"Troy" is sired by CH. Marshland Fashionably Loud. 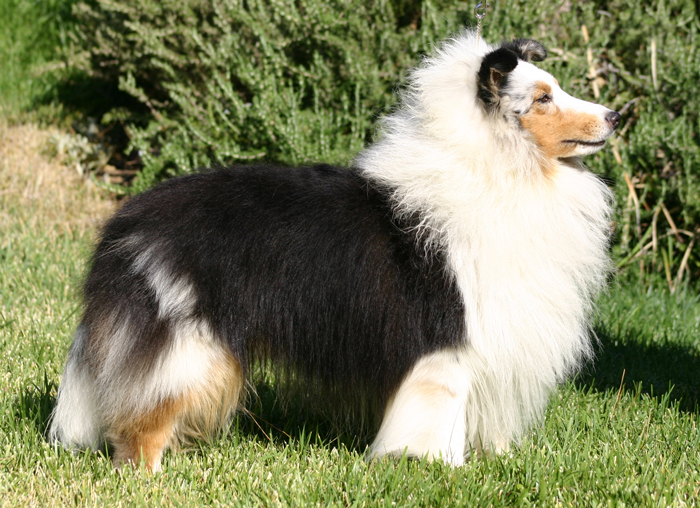 He represents the fifth successive generation of Blue Merle Champions produced by Marshland. Troy finished his Championship in February 2006 at 2 years of age. He was entirely breeder/owner handled to his Championship!